How many clean jobs are in the U.S.? Each day, nearly 3.3 million Americans wake up and get to work building our clean energy economy. These workers install solar panels atop our homes and commercial buildings; manufacture wind turbines and reduce wasted energy by making our homes schools and offices more energy efficient. And they now work in every zip code in the country. Clean jobs are driving our economy. Join business leaders, investors and workers to tell leaders you want more clean jobs. Clean energy now employs seven times more Americans than fossil fuels. Solar and wind jobs are the fastest-growing careers in the country. 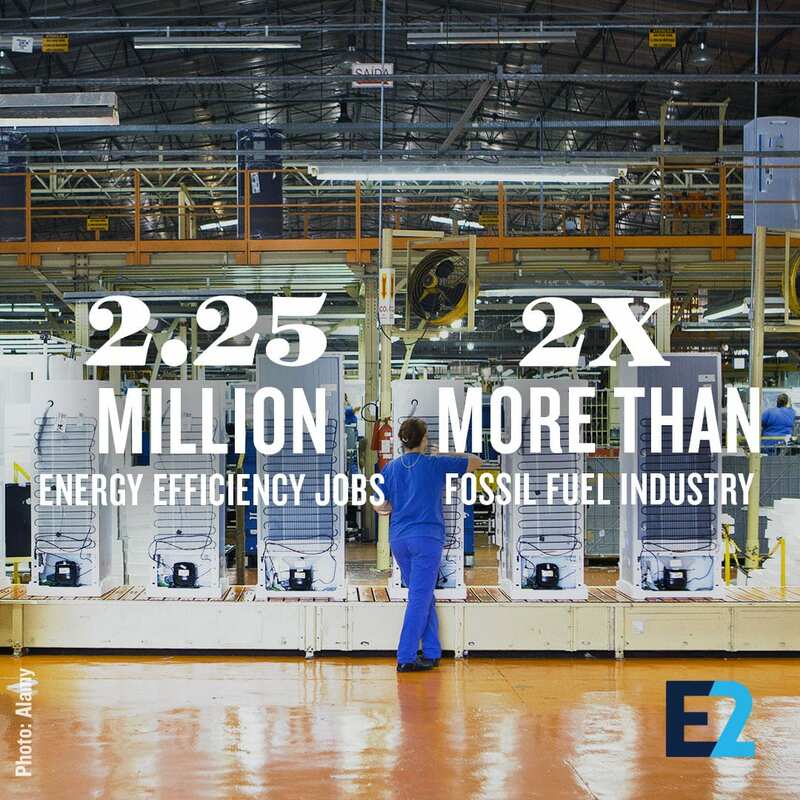 Energy efficiency alone employs 2.3 million+ people in construction, manufacturing, lighting, HVAC and other industries. Join workers, business leaders and investors across the country by signing our pledge to tell Congress and the Administration that coal, petroleum and nuclear aren’t our nation’s only energy options. Tell them you want more clean energy – and the jobs that come with it. Tell them Clean Jobs Count. Join other American business leaders, workers and investors by signing our pledge to tell governors and state legislators you want better renewable energy and energy efficiency policies in your state – and the jobs and investments that will come with them. Tell them Clean Jobs Count. Join other American industry leaders by signing our pledge to tell lawmakers not to pick winners and losers and to quit trying to kill off America’s clean energy industry – the jobs that come with it. Tell them Clean Jobs Count. "Americans want businesses that can leave their communities better off, and jobs like mine prove we can do that while also strengthening our economy." "I enjoy it, you know. I am helping to build the future. We need more clean energy, making us not so reliant on fossil fuels and we are bringing jobs back to our community. All that is our future." "I was looking for a profession with longevity and a good future. That’s why I went with renewables." "Our work in providing cost-saving energy efficiency solutions makes it possible for an elderly widow to make ends meet, a single mother to buy groceries, or a young paralegal pay their mortgage." "Solar saves people money—it’s a not a just a cost, it’s an investment. I like that we are helping people. Eventually, it will be installed on everything, not just our roofs but on our cars, on walls, even on our devices. It will be everywhere. Solar is the future." "Since 2003, ReVision Energy has grown from two guys in a garage to more than 260 employees in five locations in three states [MA, ME, NH]. We are one example of the reality that the U.S. solar industry has become a job creator on steroids." 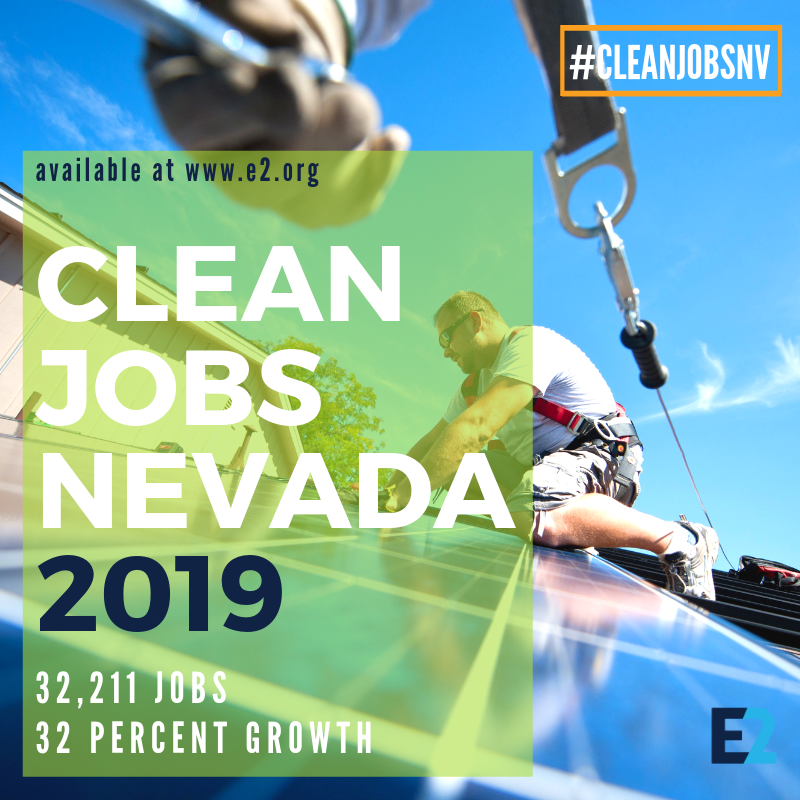 According to the 2019 Clean Jobs Nevada analysis (downloadable PDF) of energy jobs data by the national nonpartisan business group E2 (Environmental Entrepreneurs), Nevada’s clean energy economy exploded in 2018 — adding nearly 8,000 jobs and making the state no. 1 clean energy job growth (32.4%). Overall, clean energy jobs totaled more than 32,000 at the end of 2018, with the biggest benefactor being Storey County near Reno, home to Tesla’s Gigafactory battery plant. More than 8,100 Nevadans now work in clean energy in Storey County – giving it the highest density of clean energy jobs in the country, with 2,300 jobs per 1,000 employable residents. 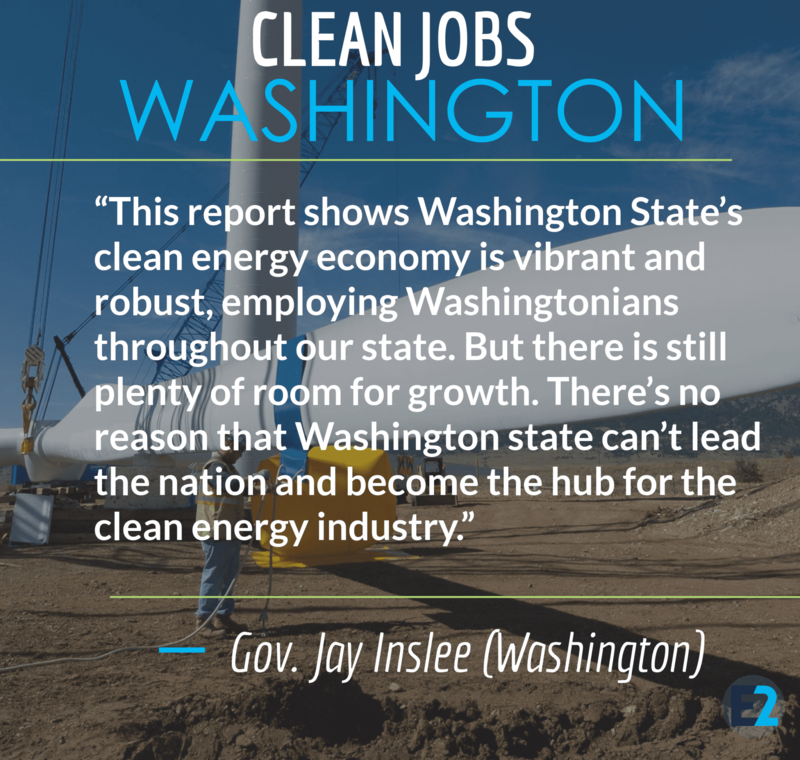 When it comes to clean energy jobs, the Evergreen State is beginning to live up to its nickname according to Clean Jobs Washington 2018. More than 82,800 Washingtonians now work in clean energy—wind, solar, energy efficiency and related industries. That makes the clean energy industry a bigger employer in the state than Boeing (around 65,800 employees), Microsoft (46,000) or Amazon (50,000). 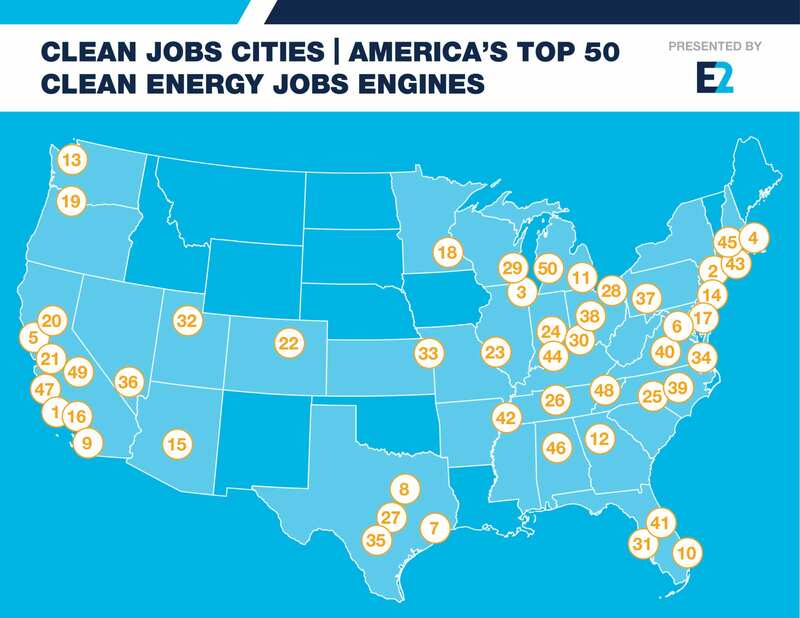 Which U.S. cities are leading America’s clean energy jobs boom? E2’s Clean jobs Cities 2018 took a look across the country and ranked America’s Top 50 metro areas for clean jobs. These metro areas now employ 1.8 million workers in clean energy technologies, accounting for more than one out of every two clean energy jobs in the country – which alone outnumbers the fossil fuel industry by around 700,000. The U.S. offshore wind industry is poised for substantial growth, thanks to falling costs and increasing recognition by state and federal policy makers that there are tremendous economic benefits in harnessing clean, renewable energy offshore. BW Research, on behalf of E2, found that if each of the five states below added an average-sized offshore wind energy farm (352 MW) nearly 25,000 construction and operational jobs would be created up and down the eastern seaboard. The Department of Interior is developing lease sales for a strong pipeline of projects in this region—28 in total—which could equal 23,735 MW of new generating capacity, which if all developed would result in tens of thousands of more jobs and added economic benefits for those states. Whether it’s new efficient technologies spurring brand new companies or established businesses expanding, America’s job growth is being powered by energy efficiency. Energy Efficiency Jobs in America 2018 found that energy efficiency added the most new jobs in 2017 of the entire energy sector. Its workers now outnumber elementary and middle school teachers and are nearly double those in U.S. law enforcement. In fact, there are now as many energy efficiency workers as there are waitstaff in U.S. bars and restaurants. When it comes to clean energy jobs in America, no state does more than California— accounting for more than 1 out of 7 US clean energy jobs nationally and nearly a third of renewable energy jobs alone. 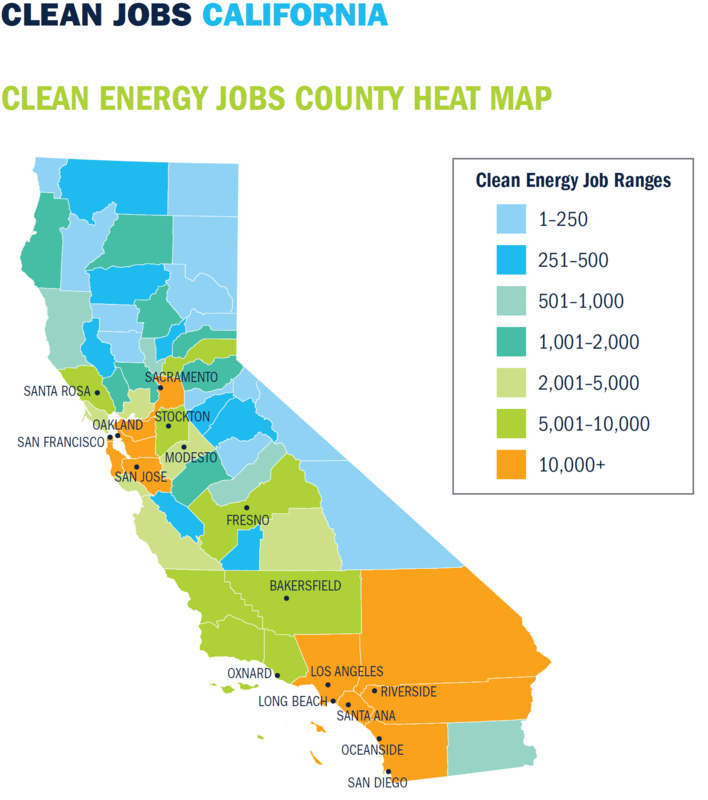 According to E2’s 2018 Clean Jobs California report, the state supports more renewable energy jobs than the next top 7 states combined and has twice as many jobs in energy efficiency as the #2 state (Texas). 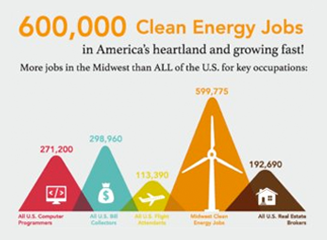 The 2018 Clean Jobs Midwest report highlights the growing importance of the region in America’s transition to renewable energy — finding more than 714,000 Midwesterners now work in clean energy industries (more than 4X those in fossil fuels and employing more than all the waiters and waitresses, computer programmers, lawyers and web developers in the Midwest combined. 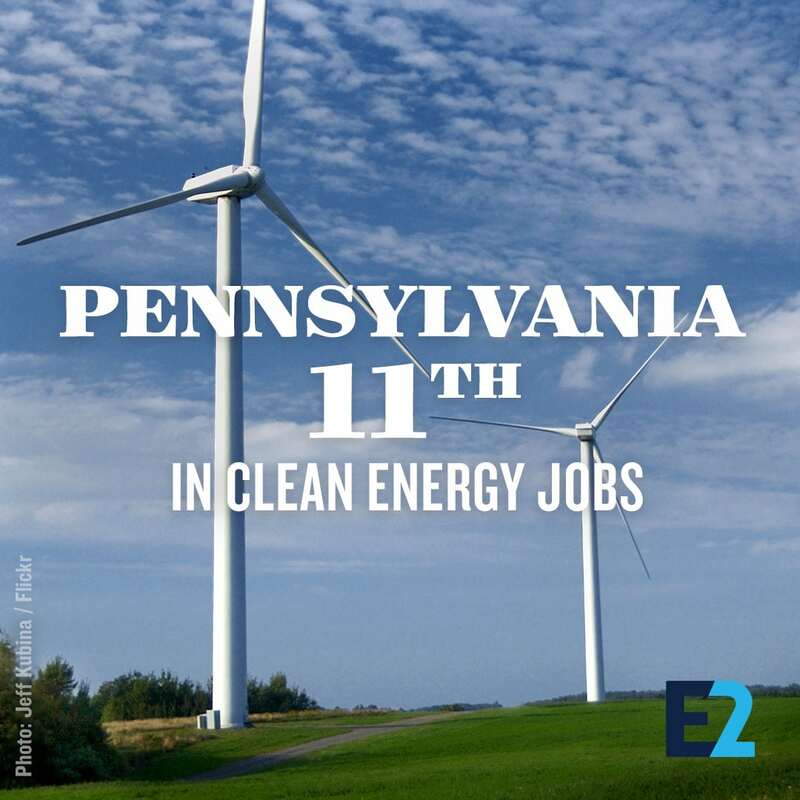 Led by one of the nation’s strongest energy efficiency markets, E2’s 2018 Clean Jobs Pennsylvania report finds there are more than 86,000 clean energy jobs in Pennsylvania across all 67 counties — the 11th most clean jobs among all 50 states and the District of Columbia. 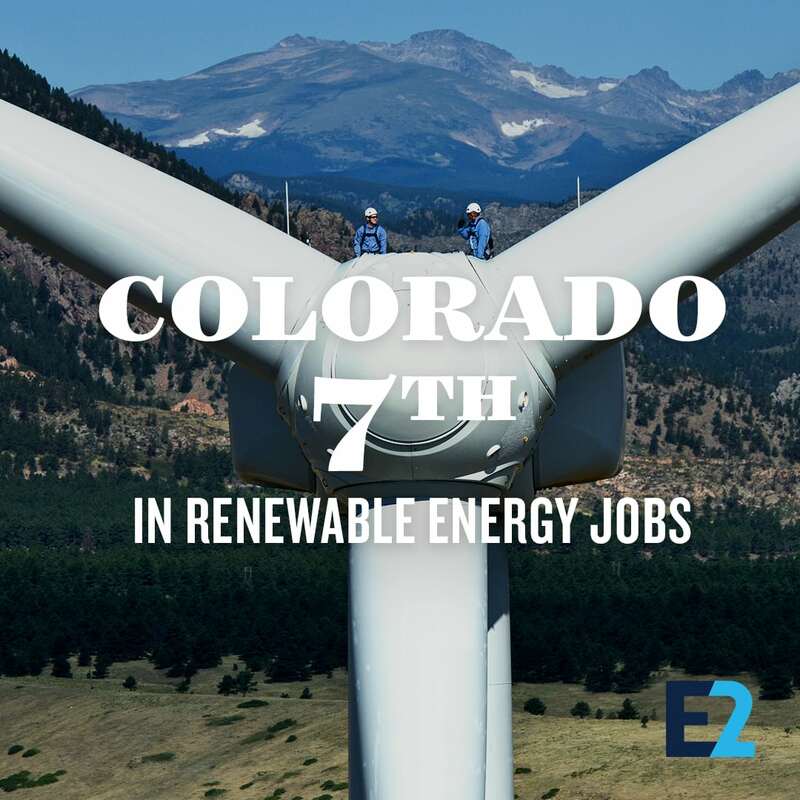 Led by one of the nation’s strongest solar and wind energy markets, E2’s 2018 Clean Jobs Colorado report finds there are nearly 58,000 clean energy jobs in Colorado across all 64 counties — including more jobs in renewable energy than all but 6 U.S. states. Clean energy is powering job growth in America. 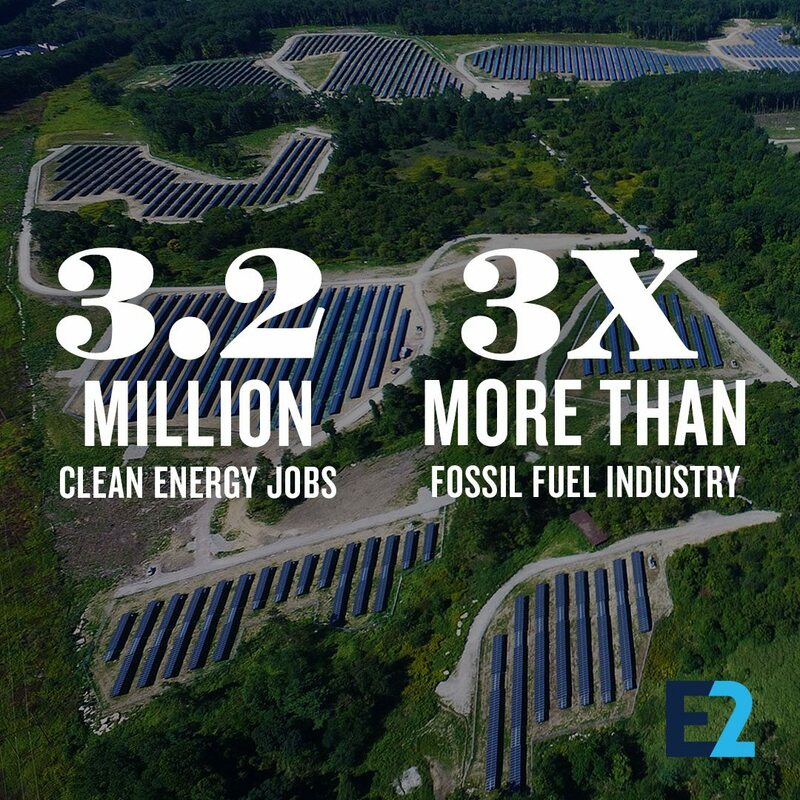 Clean jobs count: Nearly 3.2 million Americans now go to work each and every day in solar, wind, energy efficiency, clean vehicles and other clean energy jobs. Ohio’s clean energy industry is a significant part of the economy and strong clean energy standards in Ohio have supported the growth of a healthy industry. Clean energy businesses: Locations of energy efficiency and solar, wind and geothermal installers. Renewable energy infrastructure: Existing and proposed utility-scale wind, solar and hydroelectric generation facilities larger than 1 MW as well as schools with solar energy generation and public EV fueling stations. State legislative and congressional district boundaries. Illinois’ clean energy economy is clearly thriving. But where is all this economic activity happening? 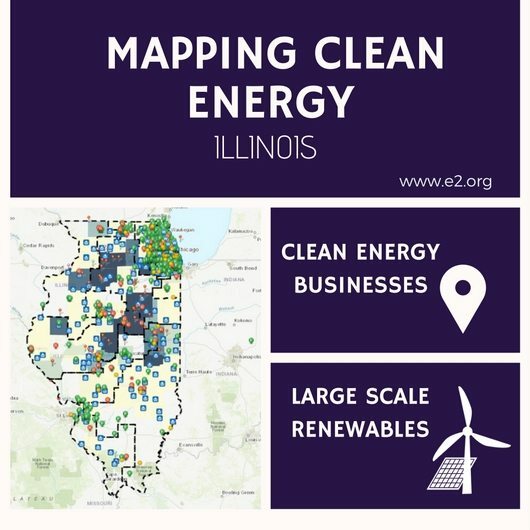 That’s exactly what E2 — along with our partners at FracTracker Alliance — attempted to find out with this interactive map showing the location of more than 1,000 clean energy businesses across the state as well as sites where renewable energy is generated. Zoom-in for a look for a look at Michigan’s growing clean energy economy with E2 and FracTracker Alliance’s interactive map of the state’s clean energy businesses, current renewable energy projects, and potential for future wind, geothermal, and solar power generation in the Great Lakes State. E2 and FracTracker Alliance detail where Missouri’s growing clean energy economy is flourishing and how much potential the Show Me State has to build out renewable energy production — mapping out more than 400 energy efficiency contractors and renewable energy installers as well as where more than 700 megawatts (MW) of renewable energy are already installed and sites where 458 MW of wind and solar energy capacity are proposed to be built. 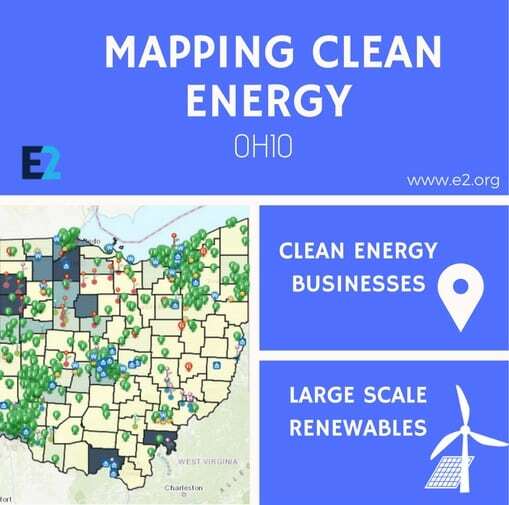 Check out an interactive map of clean energy businesses in the Empire State, including those in solar, wind, energy efficiency, geothermal, and electric vehicles from E2, New Yorkers for Clean Power, the Alliance for Clean Energy New York and FracTracker Alliance. Explore the interactive Clean Jobs Midwest website and the 2017 Clean Jobs Midwest report to learn more about the 600,000 clean energy jobs in the 12-state region. 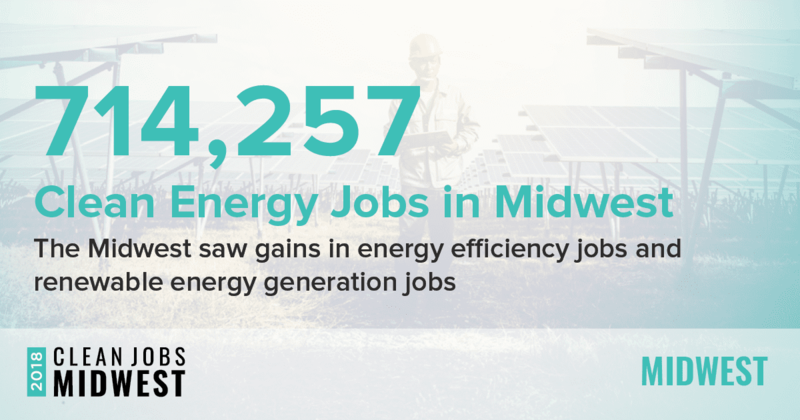 Led by energy efficiency, Midwest clean energy jobs grew about five times faster than jobs in other sectors, according to research by E2 and Clean Energy Trust.